Travel Photography—I mentioned last time that I enjoy getting “off the beaten track” when I travel to foreign countries. The tourist spots are stunningly beautiful in this “Island Oasis.” In fact, tourism is the number one industry in Fiji with sugar cane following in second place. I hired a private driver to take me through some of the interior parts of Fiji. I wanted to see where and how people lived, not just the beers on the beach (although I had my share of those too!) We drove through Nadi (above), Sigatoka and Lautoka where I learned a lot about the “real” Fiji. I learned that the sugar cane is transported via a very slow train that can pull 80 cars with 5 tons of cane. 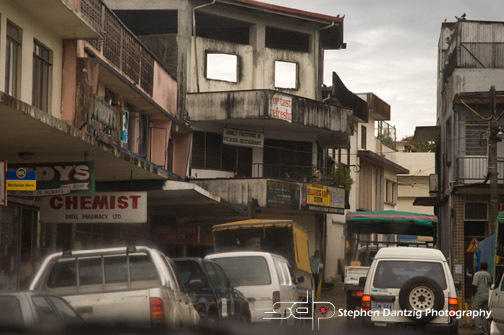 We went through Sigatoka, a town largely made up of farmers with a big and busy market. It is called the “Salad Bowl of Fiji.” Produce is available directly from the farmers here, eliminating the “middle man.” Fiji had a devastating flood in January that knocked out the train bridge in this town. There are no plans to rebuild the bridge. They will use trucks to transport the cane. I don’t know if the bridge was ever rebuilt. 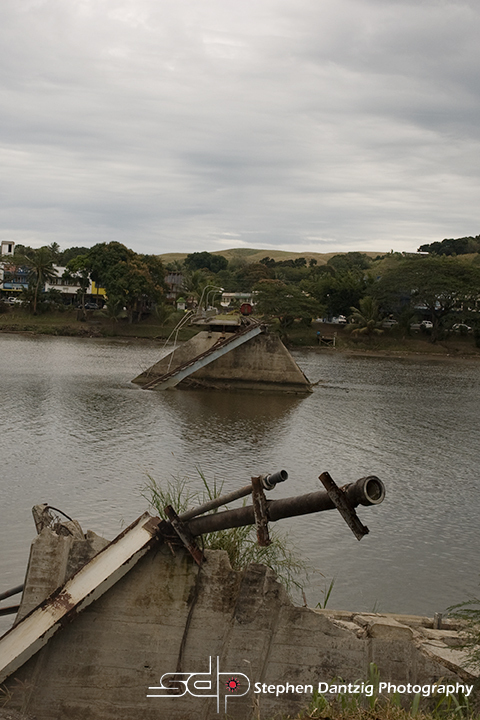 Train Bridge destroyed by a flood in 2009. There were no plans to rebuild it. The train was the main delivery mode for sugar cane. The plan was to truck the cane in. I don’t know if the bridge was ever repaired. 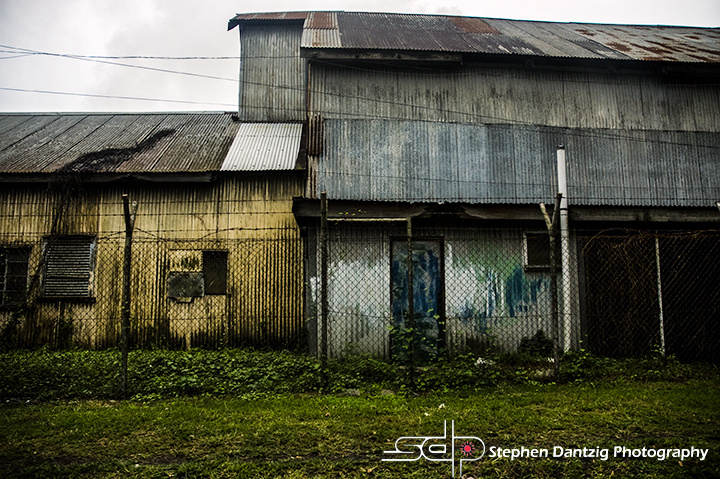 Lautoka was an interesting town. 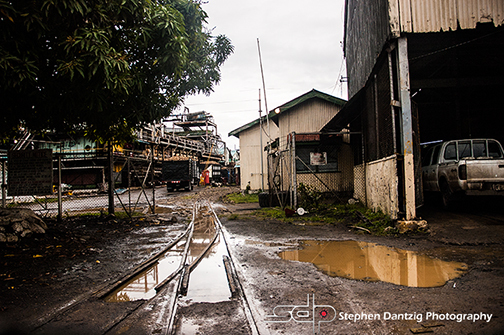 Lautoka is the heart of Fiji’s sugar trade and the second largest city in the country. 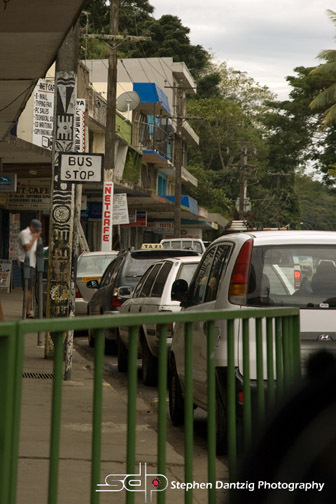 40,000 people lived in Lautoka in 2009. The conversation was easy and interesting as we compared the folklore of Hawaii and Fiji. I can definitely see where some of the old Hawaiian stories came from. There were similarities between the worship of different gods and tabus on removing certain things from the different areas. Fijian gods, like Hawaiian gods, took the shape of different animals and other beings. Each tribe had its own god and that animal was sacred. The turtle, or fonu (as opposed to “honu” in Hawaiian) is similarly revered as a token of good luck. The whale is sacred, but the teeth from beached whales were used as dowries in exchange for a bride. 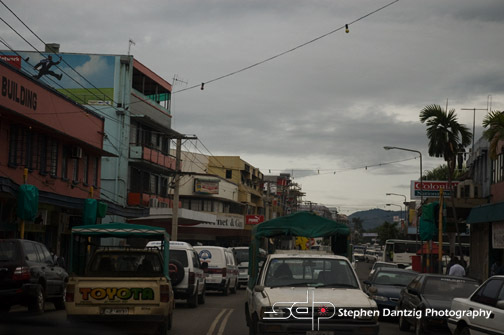 Lautoka seemed to me to be the urban center of the Leeward Coast. We passed the distillery/brewery, but it was closed (dang it-I was hoping for some samples!) The sugar mill was interesting even though we couldn’t go in it. The Indians were brought in as indentured servants to work the fields, just like the Filipinos, Japanese, Chinese and others were brought to Hawaii. I was quite surprised to see the size of the railroad cars…I had envisioned something much larger. Next time we will end my Fiji adventure with a spontaneous fashion shoot on the boat returning from an island hopping trip. Camera: Nikon D70, various exposures.